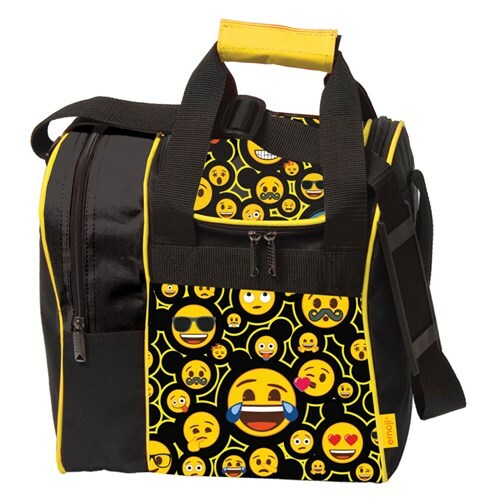 The KR Strikeforce Emoji Single Tote offers a fun addition to your game! This bowling bag is made of quality 600D fabric and provides plenty of room for a bowling ball, shoes up to a men's size 11, and accessories. The adjustable and padded shoulder strap offers additional comfort as well! Due to the time it takes to produce the KR Strikeforce Emoji Single Tote ball it will ship in immediately. We cannot ship this ball outside the United States.